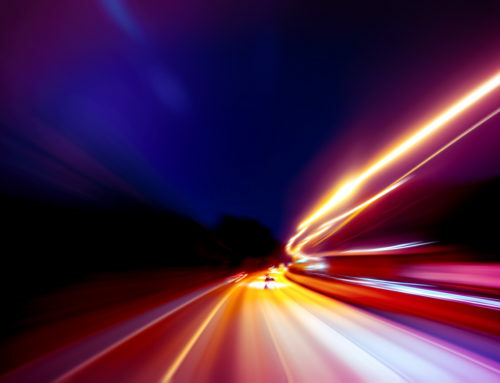 The first SAP SuccessFactors release of 2019 goes into preview today. 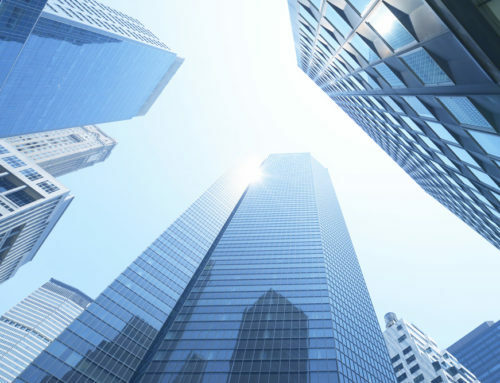 We have already provided an overview of major highlights in the update, but now we are going to take some time to examine more detailed information on updates in SAP Jam and the SAP SuccessFactors iOS and Android mobile apps. 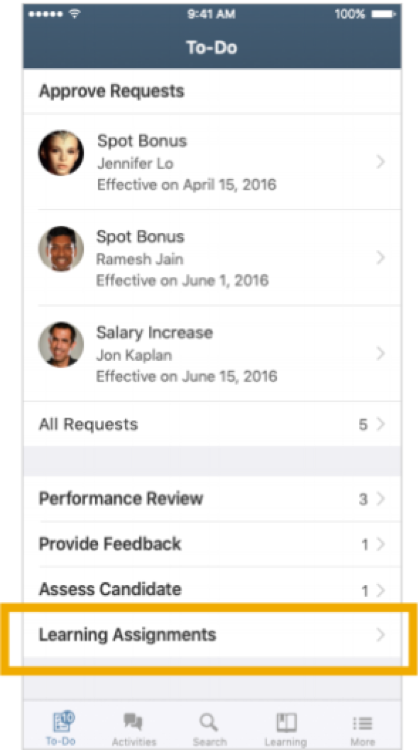 Let’s look at the enhancements in SAP Jam and the SAP SuccessFactors mobile apps. Reminder: SAP Jam comes in different versions, please ask Rizing HCM which new features are available based on your SAP Jam subscription. Categorized Search: This enables people to quickly find content. The content is shown in both quick search bar and full search pages. Microsoft Office Integration: This new free feature allows users to edit Microsoft documents straight from SAP Jam, no need to download. It works with all supported browsers via web and mobile. Buttons and Dropdown Consistency: Now all buttons and dropdown menu options for CMIS and Google/Box document integrations provide the same naming convention. Slideshow Widget: PDF view now available. Slideshow can now display PDF documents, any dimension, and jump forward/backward or to a specific page. Messaging documents and videos: Documents and videos can now be attached to SAP Jam messages. What’s going away: Twitter Integration will be fully retired by Q1 2019. Reminder: Mobile follows a monthly release cycle (except January). Mobile updates are available around the 20th of each month. 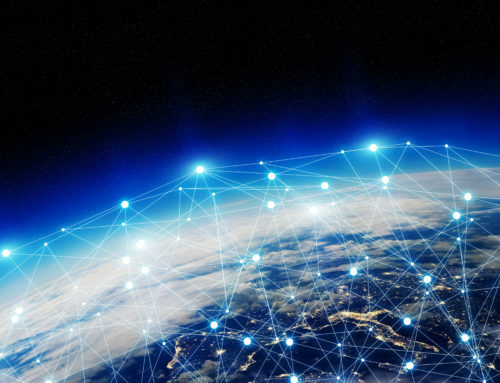 Q1 2019 release notes include features released in November and December 2018, and February 2019. March and April 2019 features are also included in this analysis. 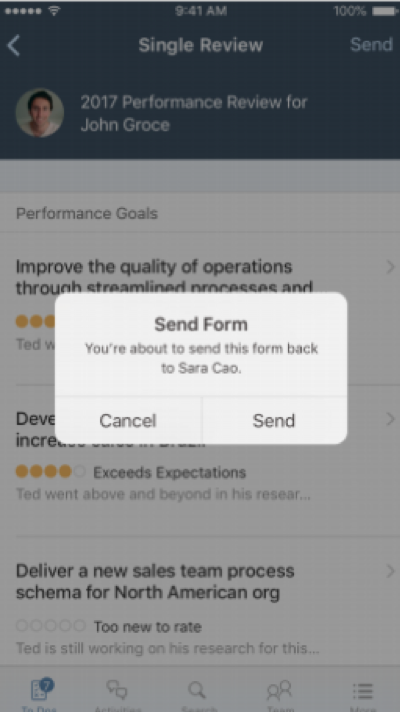 Performance Management (PM): Mobile now supports “send to previous step” functionality if the right permissions are configured. How to turn it on: This was a universal update for iOS and Android in November 2018. Career Development Planning (CDP): Enables the ability to manage CDP goal plans. Users can add, edit, and delete from the Development Plan. 360 Reviews (360): Users can now add, edit, and delete performance and development goals, as well as view and edit custom elements within custom sections. How to turn it on: This was a universal update for iOS and Android in December 2018. Users can now search and find programs in the course catalog and assign to self, as well as view the overview, description and agenda. Users can also complete items within the program. This was a universal update for Android in November 2018. It previously existed as a functionality in the iOS app. 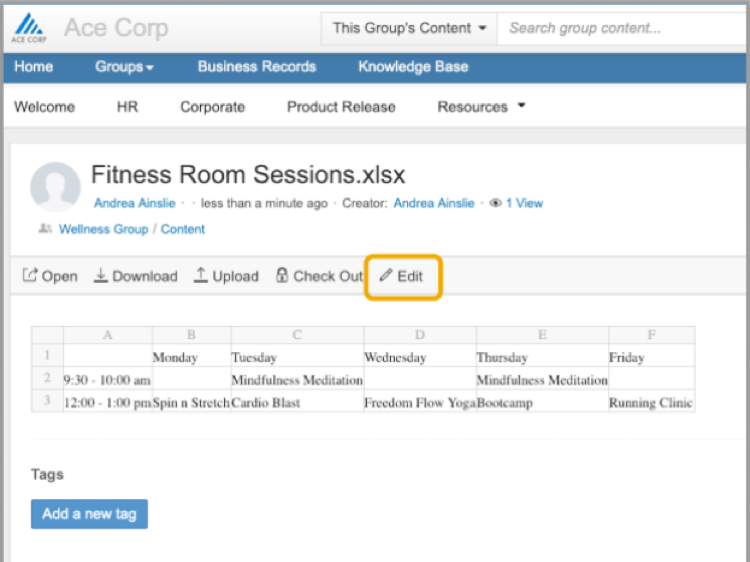 Users can now access their assignments from the To-Do tab. Tapping on “My Assignments” will take users to the existing list screen. This was a universal update for iOS in February 2019. Recruiting Management (RCM): A new feature allows users to access the internal career site. Time and Attendance: Users will be able to manage the Time Sheet approval by approving, delegating and/or declining time sheets. How to turn it on: This was a universal update for iOS in February 2019. 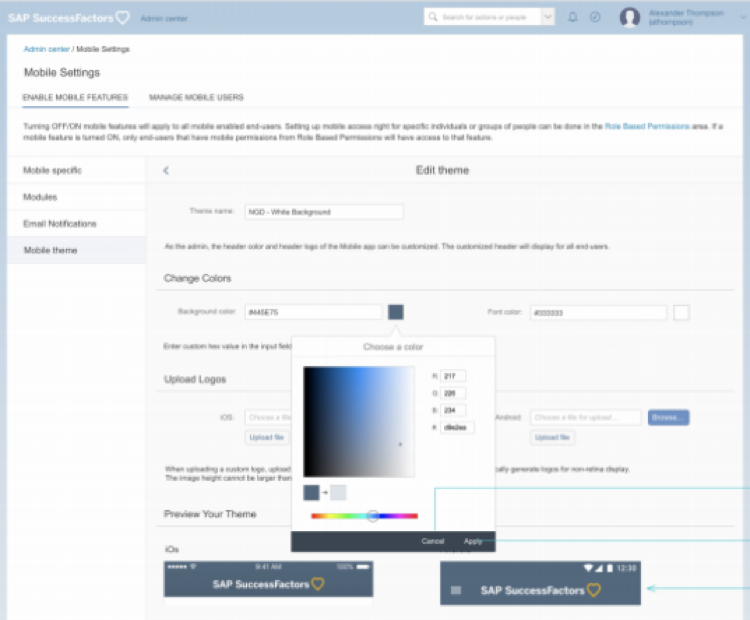 Theming: Administrators will be able to manage multiple themes for the SAP SuccessFactors mobile app. This can be accessed via the admin center through Mobile Features. How to turn it on: This was a universal update for iOS & Android in December 2018.